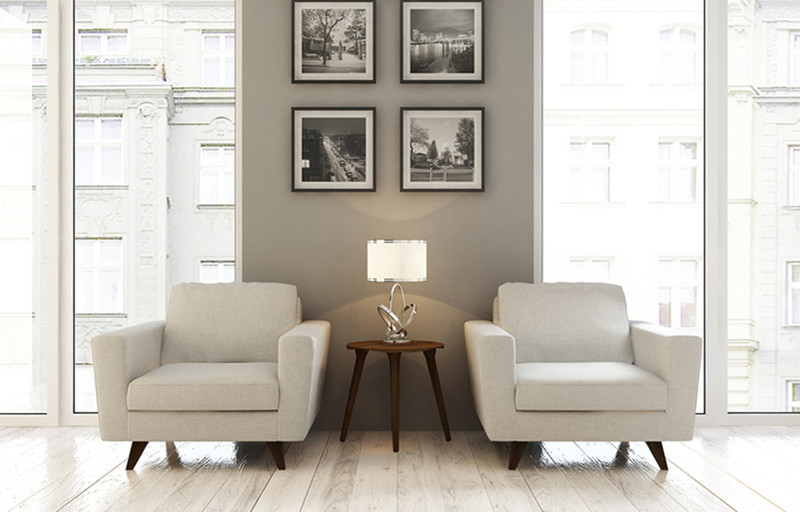 Eco-friendly furniture and sustainable decor are more than a cute trend — they are a priority for STEM. With the increasing amount of plastic in our oceans, shrinking forests, and our overall impact on Mother Earth, sustainable designs are becoming more and more popular. Companies like STEM are realizing the importance of sourcing materials responsibly and spreading the message. Going beyond the typical one or two eco-friendly pieces that most companies offer, STEM’s collection takes sustainability carefully into consideration. STEM ensures satisfaction by building each piece one at a time in L.A. from eco-materials like natural latex and wool, bamboo, organic cotton, and more. Cutting out harsh chemicals like fire retardants and certain glues are also a part of the process. Sofas and sections — being the biggest portion of STEM’s business — are made with FSC certified wood frames, natural jute, and organic cotton. 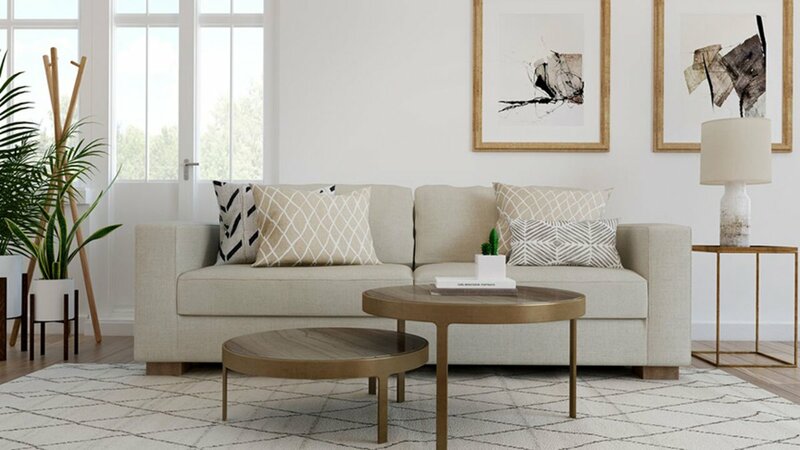 Pieces like the Rio Sofa and Blumen Sectional can be made to the inch to get it just right for each customer and space. 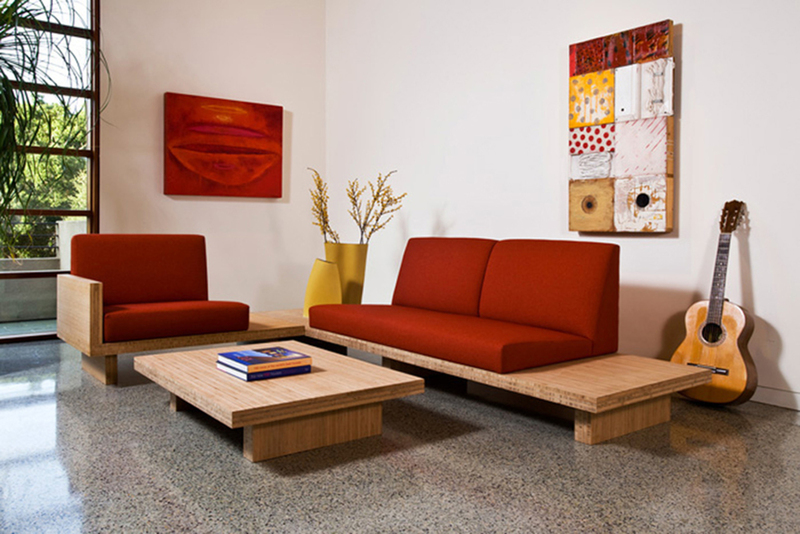 Bamboo Float is a unique style that STEM incorporates into sofas, tables, and more. Bamboo is an ideal material because it grows as quickly as a weed. STEM uses sheets of bamboo for the base and then attaches an upholstered piece for the seating component. For the Voya Side Table, the piece is handcrafted with FSC certified walnut or hard maple and is covered in zero VOC matte finish. The design can also be made into a coffee table as well. 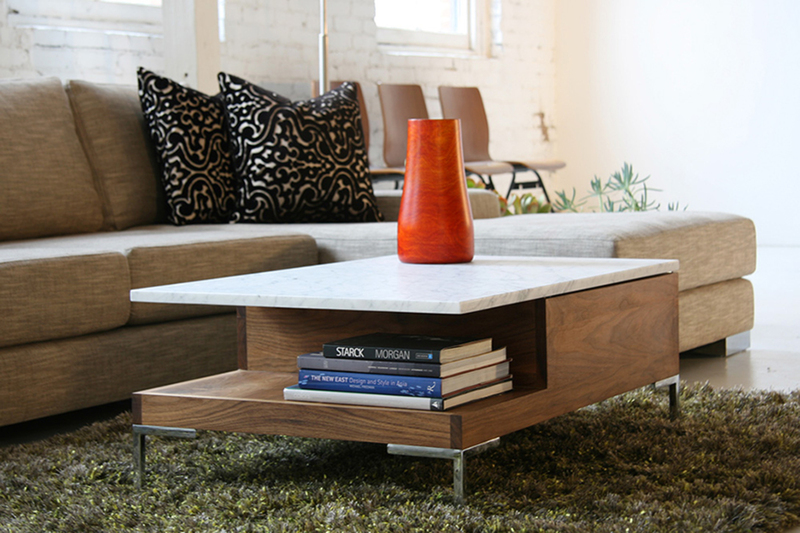 Also using FSC certified walnut or hard maple for the base is the Sino Coffee Table. The top is white carrera marble and has the option for a draw for storage. STEM makes each piece as it’s needed, therefore cutting out the mass production of generic goods.